When it comes to promoting your brand, the possibilities are endless. The beauty of utilizing promotional products is that you can give your customers something they can hold and use. Other forms of advertising are most certainly effective, but when customers (and potential customers) can hold a product with your logo and branding message printed on it that makes your brand more known and personal – this increases your brand recognition. Chances are when your customers are using your promotional product, they will think of your brand. At Custom Bags Wholesale, we specialize in custom promotional bags that will showcase your branding message and ensure customers remember your company. 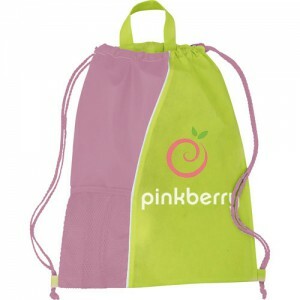 You have a lot of choices to make when it comes to designing your custom reusable bag. Select the material, style, size, colors and more to create something that is unique and conveys the message you want your customers to associate with your brand. We can help you narrow down your options so please get in touch and tell us what you are looking for. 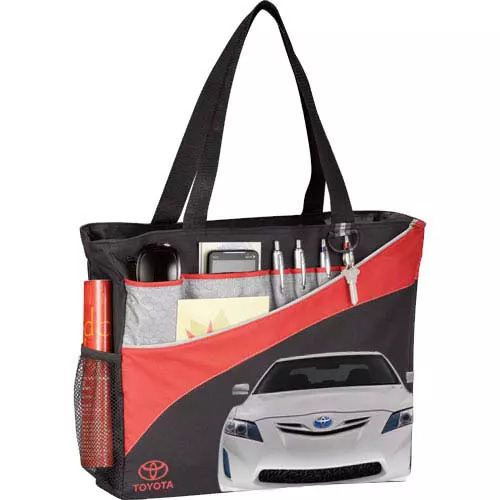 If you select a promotional bag from our in stock selection we can turn it around for you in a mere 2 weeks, so you can be handing out customized bags in no time. If you want to create something more distinctive, we can help you design something that is completely unmatched and unique. All of our reusable bags offer great value, but because you can design every aspect of our custom bags they offer a fantastic value for the cost. All custom bags are created at our overseas production facility. Taking advantage of our overseas production requires a 60 – 90 day turnaround, but the reward is a promotional bag you built from the ground up that features everything you want. Reusable bags make such a great promotional tool because they are convenient. Everyone has a use for a reusable bag whether to tote groceries home from the store, or to lug books to class or work home from the office, they also make great gym or overnight bags, or you can create something completely custom and unique like a cooler bag or a specialized bag designed to hold wine bottles. Reusable bags are just plain handy. We offer a wide range of stock designs, but due to our custom capabilities the possibilities are endless. A reusable bag is a practical and convenient item. You want a promotional item that your customers will love and want to use because happy customers are repeat customers. It is also very likely that your customers have friends or relatives or coworkers who are also part of your ideal demographic, so giving them a custom promotional product is an opportunity to showcase your branding message in front of potential customers and increase your brand recognition where it matters most. Making the decision to go with a promotional item that fits a niche need or market may cause you to miss out on the chance to promote your brand to a wider audience. If you sell a product or provide a service that only caters to a small and specific demographic and you create a promotional item that is only useful to that demographic your branding message will reach a limited audience – albeit an important audience, but you may miss out of converting new groups to your brand. Your ideal customer base is certainly a group you want to market your company to, but utilizing a custom promotional bag ensures people from outside your target demographic can and will use the item. While people from outside your demographic may not buy your product or service they will function as a mobile billboard when they carry your custom reusable bag and they may expose your marketing message and campaign to people who are in your target demographic who may not have heard of your company otherwise. You may also create a buzz and generate interest in your brand by handing out your promotional item to folks from beyond your demographic. It is a smart move to create a marketing item that is universally appealing and useful, so people outside of your demographic can also use your bag and help spread the word. Everyday people are inundated with logos and branding messages. Advertisements are all around us. You need to get your logo and branding message out there for everyone to see and there is no better way to do this than by creating a customized promotional bag that bears your company’s logo. Taking advantage of advertising your brand with a custom promotional bag ensures your branding is seen by the people who use your bag, but also all of the people who come into contact with that individual throughout the day.